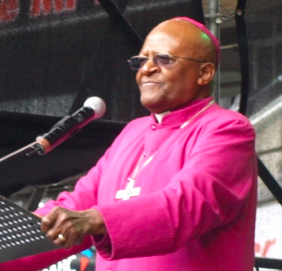 Archbishop Desmond Tutu addresses a crowd in Durban during the lead-up to the 2011 COP 17 global climate summit. And many others… more here. Ronnie Kasrils, former minister of water affairs and forestry. Simon Gear, anchor of SABC3 environment programme 50/50. Endorsements for this campaign are now being added to our petition calling on the University of Cape Town to be true to its own research and traditions, and divest from fossil fuels. If you’re part of the UCT community, please do add your signature. If you are part of a South African organisation that endorses this movement, please message us so we can add your name. We value all our supporters equally. But if you are, say, a professor or run an investment company, your endorsement, like the names above, could be very helpful, so please let us know.